Iceland is sitting right on top of a mantle plume, where the Earth core's heat reaches the surface. 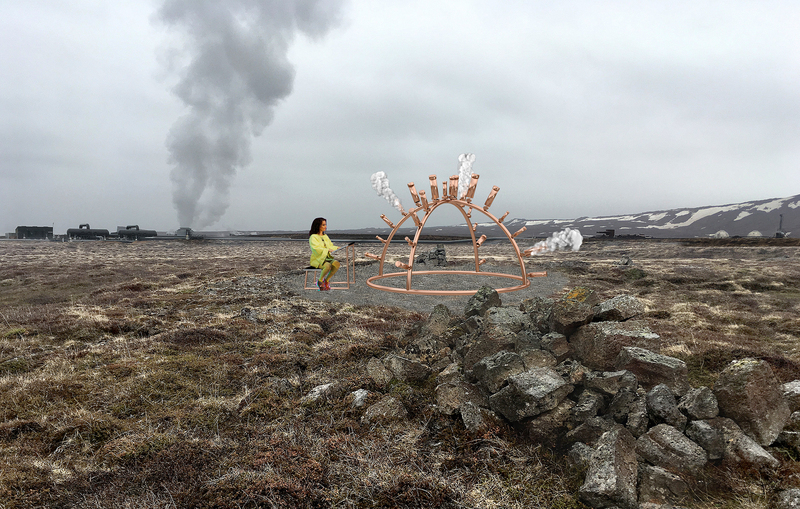 Geothermal power is one the of the biggest privileges Iceland has been gifted by Earth. Advanced technologies in harmony with nature bring hope for generations, who are being born into a not so happy global ecosystem. 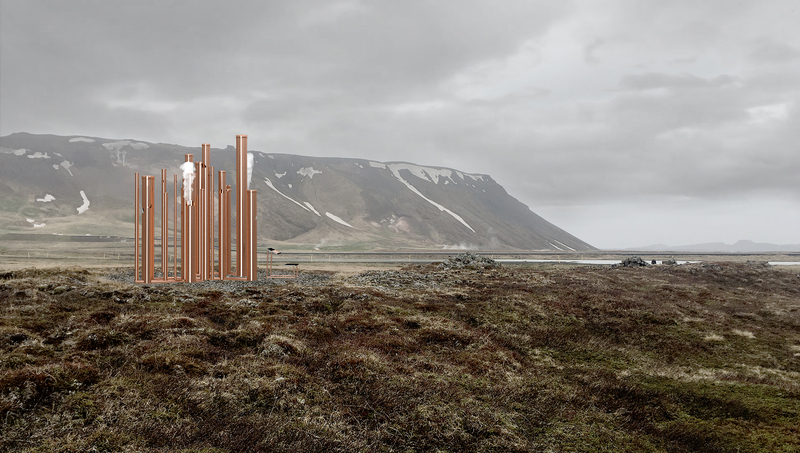 This project proposes a place for celebration, thanksgiving and humbling oneself. A simple open temple to thank planet Earth through one of human best inventions - music. 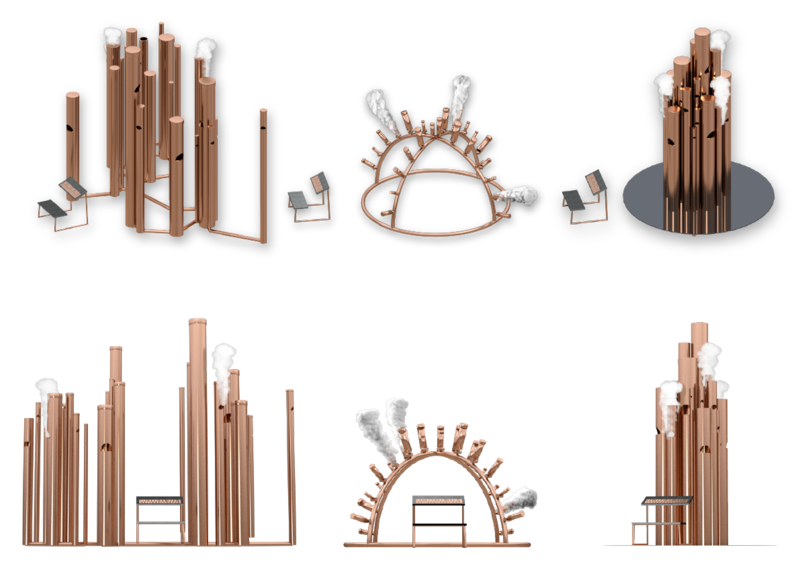 The project proposes to install an outdoor steam organ - a spatial sonory sculpture - a deconstructed calliope. The power plant's overground infrastructure is the main human imprint in this area. Steam and pipes form an otherwordly urbanism in nonhuman scale. 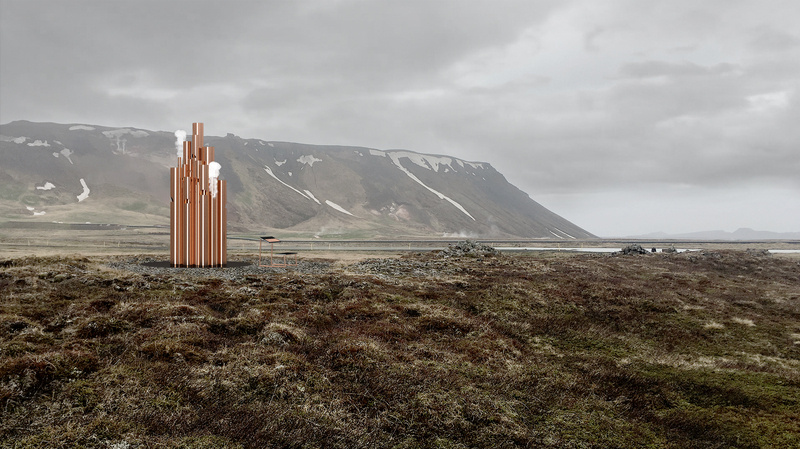 The steam organ has 25 keys (as a basic synthesizer or as the amount of “hotspots” on Earth - each tone is dedicated to a specific hotspot - Iceland, Hawaii, Azores, Galapagos, Yellowstone….). 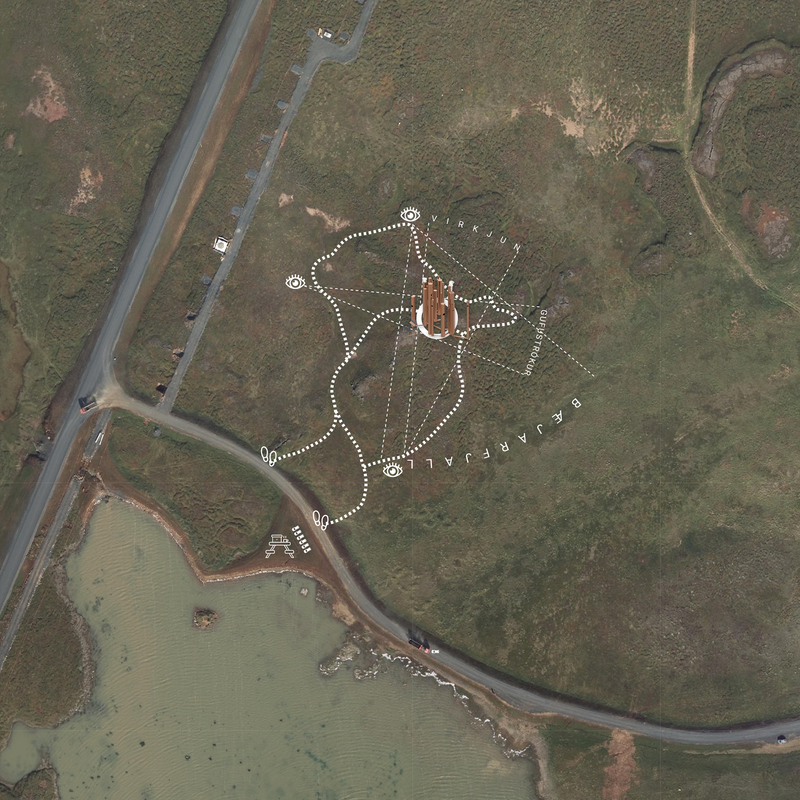 The acoustic levels would be adjusted not to distract bird population, visitors and employees of the power plant. 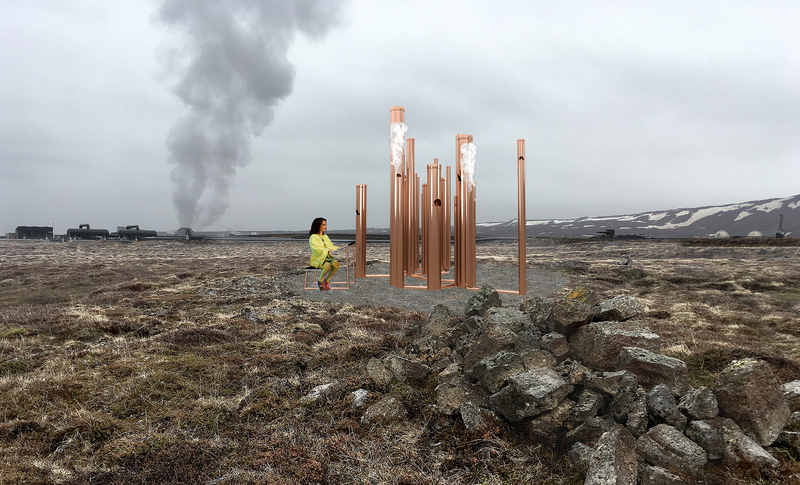 This geothermal organ has a potential to bring more visitors from Mývatn and Húsavík in future to discover Þeistareykir area to admire the geothermal area, learn about sustainable power and celebrate Earth's power and generosity.